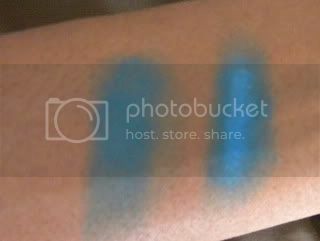 The swatch on the left is without a base and on the right (as I'm sure you can tell, I totally didn't blend but you get the point) I did the swatch with a base using Milk from NYX. As you can see the color with Milk as a base is very bright and pretty. 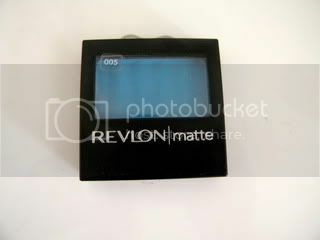 I can't wait to try a look with it. What is your favorite blue to use and what do you pair it with? 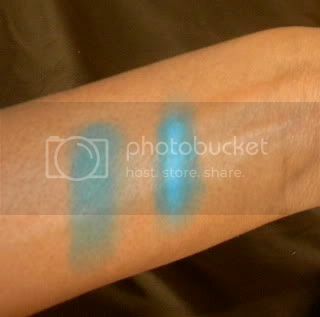 I don't have a favorite blue ATM but I'm glad you did this review i was wondering about their single matte shadows! this looks amazing with the nyx pencil! 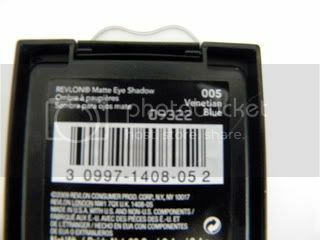 the only blue eyeshadows I have are in my coastal scents pallette. I like blues with black in the crease. I have this color and I love it.